Writing a business blog is without question one of the single most powerful marketing methods available to any business, small or large. The data around blogging is huge. Businesses who blog get more web traffic, more leads, and better ROI on marketing than those who don’t. In fact, according to inbound marketing software giant, Hubspot, marketers who have prioritized blogging are 13x more likely to enjoy positive ROI on their marketing efforts. As a conference speaker and consultant, I’ve been pounding the drum since 2006 that business owners and their teams should be blogging consistently. And although I’m also a huge believer that you can gain the skills to blog well, there are also really good reasons to hire a quality content team to produce your blog (and other) content for you. As a business owner (or member of a small business team), you inevitably wear a lot of hats. When your team is smaller (and I’m a huge fan of smaller teams! ), no matter how you try to make “marketing” someone’s responsibility, invariably there are significant competing priorities. On any given day, there are fires to put out, customers to serve, challenges to overcome. When you hire a professional content team, your content strategy will get executed. For example, at Grow The Dream, we’ve assembled a team of writers, editors, and designers who make your business our priority so that your blog (and social channels) have fresh content on a consistent basis. Sure, there are always advantages to having the content created by those inside the business. But if you’re spinning plates, all to often, the marketing plate doesn’t get the attention it needs until it’s too late. Often, when you work inside a business or even an industry for long periods of time, it’s easy to lose perspective. You forget how much you know about your business… or rather, how little your customers know. One of the hardest jobs I have in developing marketing strategy with business owners is helping them understand just how much expertise they really have. Sure, there’s always someone who knows more than you do, and chances are, those are the people whose books you read, podcasts you listen to, and blogs you follow. But almost without exception, your customers know less than you do. And that means that your content needs to educate and inform just as much as it needs to persuade. This is why hiring a content team who will take the time to learn about your business without actually becoming experts in what you do can often produce better quality educational content for your blog. By being one step removed from the ins and outs that you yourself know all too well, professional content creators can more easily maintain the perspective of the outsider. It goes without saying that technology changes constantly. And while the strategy of delivering value and providing useful content doesn’t change, the mechanisms we use to do so are constantly in flux. When I publish the blog post, should I share it immediately? When I share it to Facebook, should I use a link post or should I upload a photo and put an link to the content in the description? These are just a few examples of the many types of decisions that go into how your content can be maximized to deliver the most value to the highest number of people possible. And they can change almost daily. A professional content team who produces and monitors the effectiveness of content on a daily basis will, by necessity, know how best to answer these questions and more. And when you put them to work for your business, they’ll use all their expertise to help you get the most out of your investment in content. This reason is very closely tied to reason #3, because staying current on tactics relies in no small part on this piece of the puzzle: measuring and monitoring. If keeping up with creating the content is challenging for you, then finding the time to quantify its impact is even more likely to get left behind. Professional content creators go beyond just putting words together with graphics and hitting the “publish” button. Quality content teams will take the time to put the metrics in place that are necessary to understand what’s working and what isn’t. Tools like Google Analytics are an invaluable component of a measurement strategy, but are often only the first step when it comes to measuring real ROI. # of visitors from organic search, referrers, social channels, etc. # of email subscribers, e-mail opt-ins, free report downloads, etc. Professional content creators will take the time to help you develop strategy around what metrics matter most to your business and will take the time to monitor those metrics for you and make real-time adjustments as needed in order to help you hit your objectives. There isn’t a single writer in existence, no matter how skilled or experienced, who doesn’t need someone to review, check, and — yes — correct their work. Is the content a good match for the audience? Does it hit the target for delivering value? Is it boring? Is it free of spelling errors? What about typographical errors? Is it reasonably grammatically correct? Does it match the “voice” of the business? With all the hats you wear, finding the time to write can be challenging enough… but who will edit your work when you do write? With a professional content team, there’s always an editor looking for these and other factors before content goes live on your blog. Sometimes, content might even go through a re-write or two before you ever even see it. Creating content that’s useful and valuable to your customers is one thing. And it’s phenomenal to execute well on that goal. But when you introduce story in into your business, your content becomes more unforgettable, useful, and meaningful to your audience. And that makes it more likely to get results for you. Storytelling is a valuable art that any business owner should master. But it also takes time. They will help you tell your story in written form, woven throughout your blog content, social posts, etc. They will help you tell your story visually through compelling graphics that accompany your content. It’s not realistic to believe that every single piece of content will — in and of itself — be an amazing story. But when you’ve taken the time to hone the story of your business, a professional content team will help you weave your story into the fabric of every single piece of content. 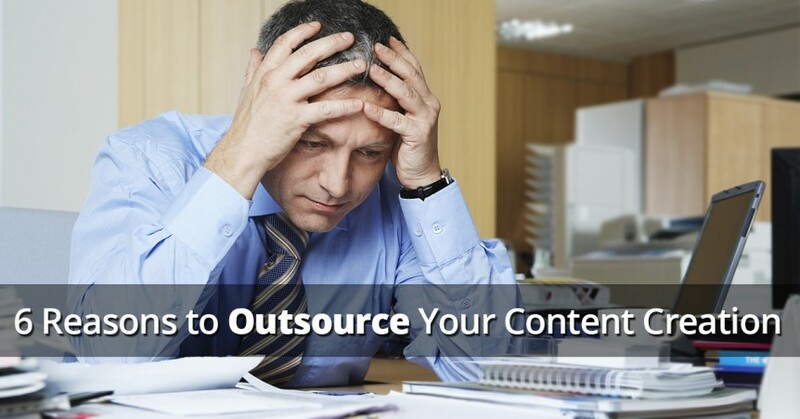 Are you ready to outsource your content creation? At Grow The Dream, we’ve assembled a team of writers, designers, and editors that are passionate about making your business more successful than ever. We’d be honored to work alongside you to tell your story in powerful, meaningful ways that measurably contribute to your business objectives. Get in touch today to get started.